Why should your international contracts include both governing law and jurisdiction clauses? Within the international business community there is an ever increasing amount of discussion around governing law and jurisdiction clauses in international contracts. The first question people usually ask is whether they are the same thing. That answer is easy, no they’re not! Governing law and jurisdiction or dispute clauses are very different and should always be treated as such. To try and put it as simply as possible the governing law will be the backbone of your contract, the legal blocks your contract has been built upon. The jurisdiction (or dispute resolution) clauses within the contract set out where and how any disputes arising from the execution of the contract will be dealt with. As a result they are two very distinct sets of clauses and, as neither covers the other, any contract you enter into should not only include both but also clearly set out which law governs the contract (e.g. English law) and who would have jurisdiction should a dispute arise (e.g. the English Courts). 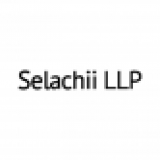 If you would like any advice on governing law and jurisdiction clauses or any other aspects of your commercial contracts or if you would like help with a specific contractual dispute, please call us today on 020 7792 5649 or email us at info@selachii.co.uk.